Matilda Bone by Karen Cushman is the story of a young girl in 12th-century England. 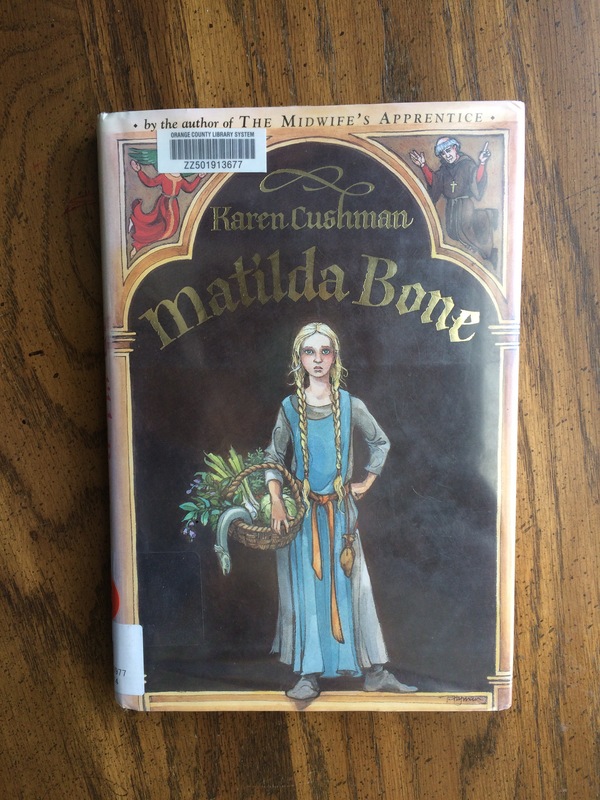 Left by the monk who raised her at Peg the Bonesetter’s shop, Matilda finds her new life dirty, unholy, and lonely. Her knowledge of Latin and religion is of little use amidst the stinking, loud messes of town life. As she waits for Father Leufredus’s return, Matilda learns about healing of the body-and of her own heart. …Matilda once again called for heavenly assistance: Dear Saint Lazarus, whom Jesus raised from the dead, I do not like it here at the bonesetter’s, where it is cold and dark as a tomb. I pray you rescue me. This was my second read through of Matilda Bone and I enjoyed it even more this time. The protagonist has a clear character arc that is delightful to watch unfold amidst the colorful setting of Medieval medicine. There is plenty of humor too. Aside from the comedy that ensues from the disparity between Matilda’s past and current circumstances, I found her conversations with the saints hilarious. Cushman weaves purpose into every detail so that readers are immersed in the time period. Matilda’s relationship to the church through Father Leufredus illustrates a lot about the church’s control of religion at the time. I love how Matilda learns to think for herself. I love the fact that her prayers change but do not cease. With Peg’s care and the friendship of others, Matilda learns that loving others will not make her unfit for higher things, but that loving others is itself a higher thing. Squire Terrence observes the arrival of both Emporer Alexander and a young unknown at King Arthur’s court. The following events lead him across the map and into dangerous international intrigues. Power is not the only motivation, though. 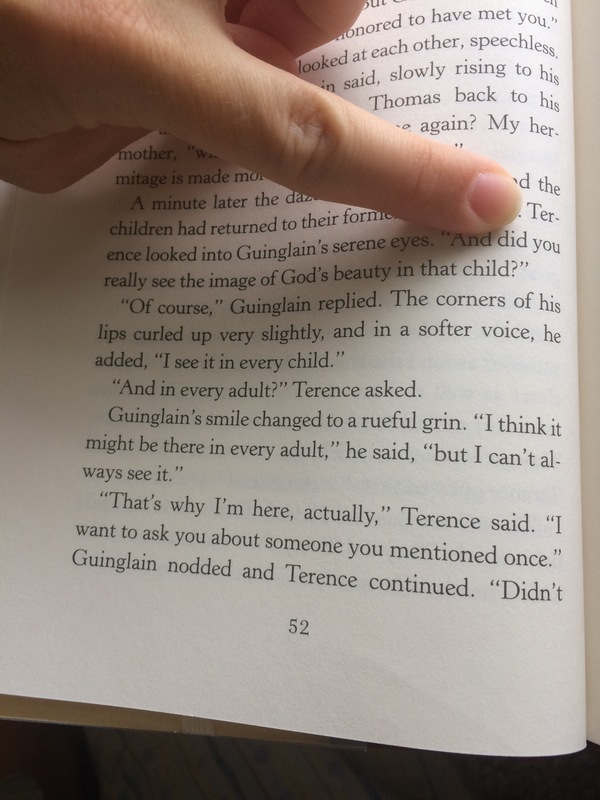 As Terrence himself observes, “people do mad things for love”. This time, I thought I’d share pages from the book rather than (spending time copying) lines. Pressed for time and all that. 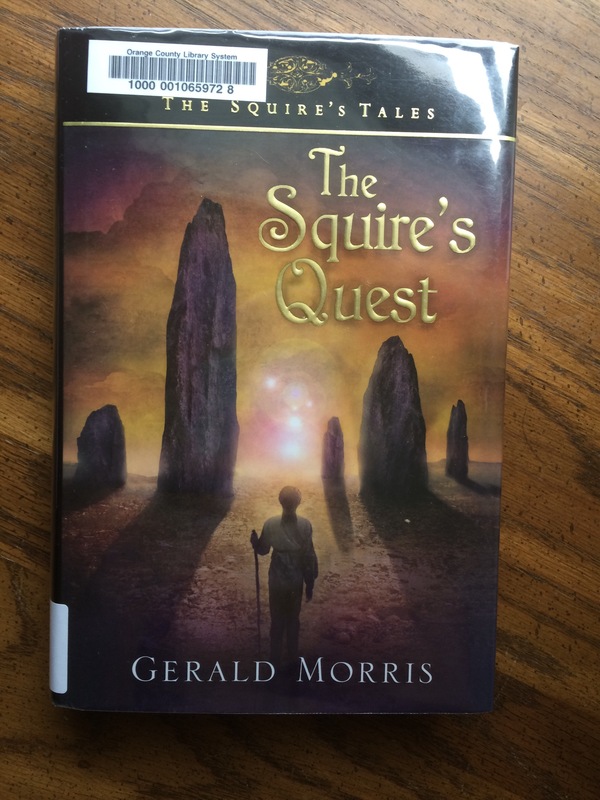 This is the 9th book in Gerald Morris’s series and the 6th I’ve read. I thought the plot of this one took a while to leave the ground, but once it did, it was full of Morris’s trademark wit and wisdom. As usual, things-and people- aren’t all they appear to be. The exception to this is Guinglain, the simple hermit whose small role nevertheless illustrates the theme beautifully. Morris pokes fun at courtly love, especially through Dinadan, the knight minstrel. His and Terrence’s sports-like commentary on the religious politics of a marriage between two empires is hilarious. 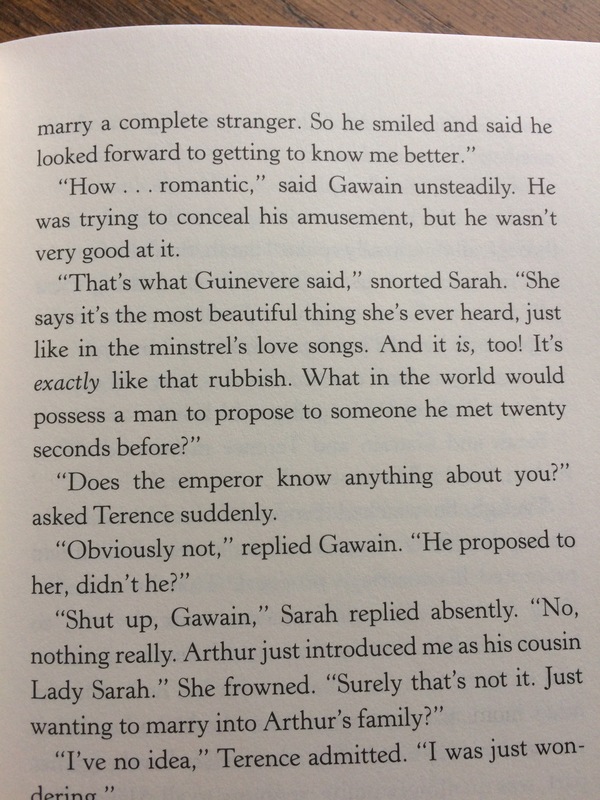 Some of my favorite parts are the sections of humorous dialogue between Lady Sarah, Lady Eileen, and Terrence. 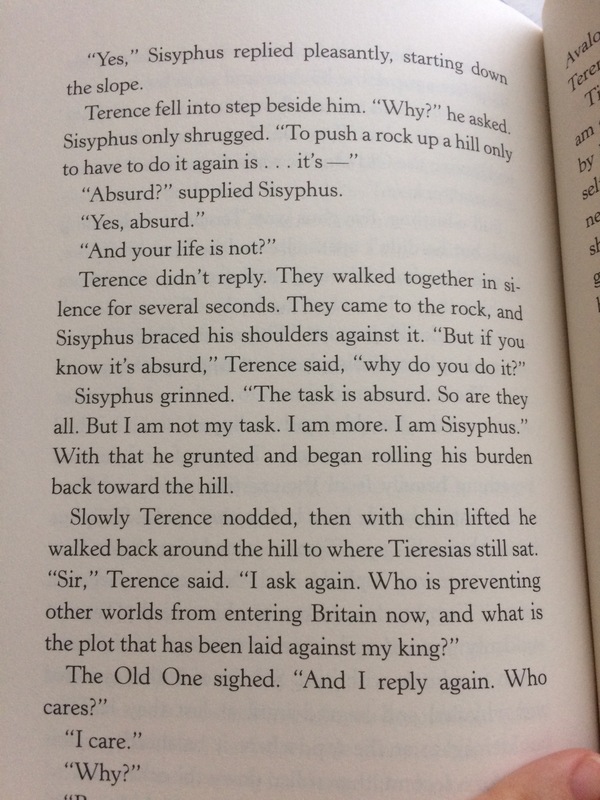 This story has the broadest scope in terms of setting, traveling from King Arther’s court to Athens and beyond, but it doesn’t fail to see Terrence learn something about himself in the process. Gilbert Markham, a gentleman farmer, recounts the tale of the mysterious Helen Graham, a newcomer to the community with whom he falls in love. Readers get Helen’s first hand account of her past and the obstacles that lie between her and Gilbert. Of all the Brontë sisters’s books, I’ve only ever read Jane Eyre. There are quite a few similarities. This book was difficult to read at times. It’s a picture of moral disintegration, primarily among men, although there are evil women as well. The striking thing is the difference between the men and the women. The men are vicious and destructive; most women, save one, are petty and malicious at worst. The most difficult thing for me was reading about one character’s incredibly selfish manipulation of his wife and her belief that she was bound to do everything within her power to redeem him. Honestly, I don’t know which one was worse. Anne Brontë, like Charlotte, challenged the belief that a woman’s pure influence served the purpose of saving her husband from evil, whether his own or that of the world’s. By carrying this to extremes Brontë illustrates the danger and falseness of such a belief. Sigh. There goes another Brontë sister, writing another shocking piece of literature to challenge the status quo. I almost didn’t find the end satisfactory-one character makes a full 180 by the skin of his teeth and I can’t say he’s my favorite protagonist by a long shot. (It’s probably not who you think it is.) But it’s been a while since I read 19th century literature. The depth of language skill, style and imagery is why I will always love this genre, epic burns included. 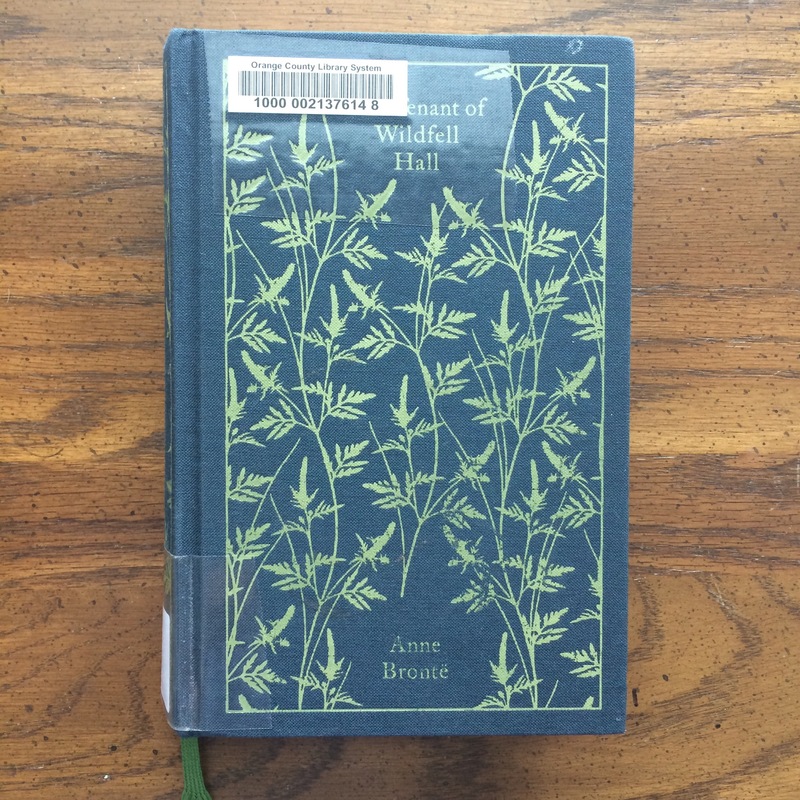 Have you read The Tenant of Wildfell Hall? Or any Brontë book? Do tell! Isn’t it a lovely cover (minus the glare)? The biography will tell you many details left out of the Little House books. For example, the Ingallses had already been west and back by the time of Little House in the Big Woods. 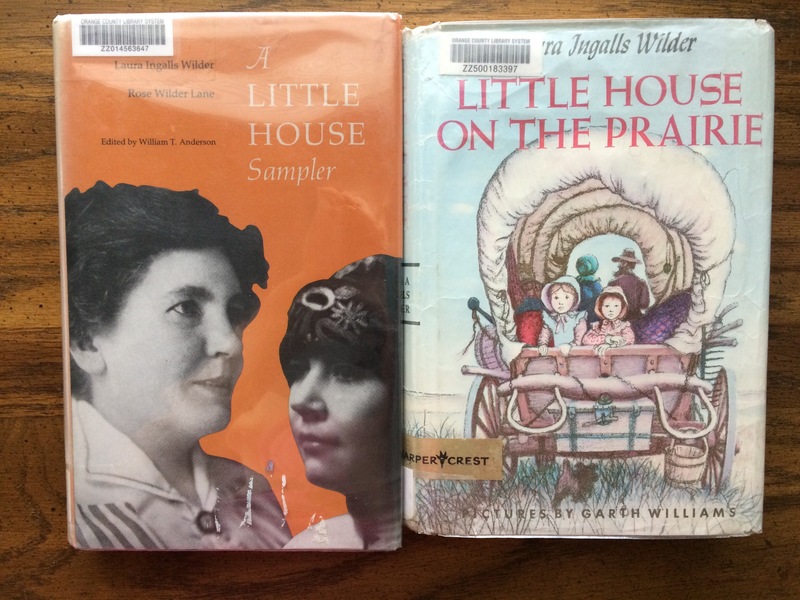 Next there’s A Little House Sampler, a collection of writings by Laura and her daughter Rose Wilder Lane, again edited by Anderson. I haven’t read all of it yet but it’s quite enjoyable. Laura had many stories and articles published long before the Little House books, and Rose was a prolific author herself. “Rose Wilder Lane, by Herself” is a great introduction to the author. The self-described “check girl in a telegram office, telegraph operator, telegraph manager, […] newspaper feature writer” was also “a land salesman, a housekeeper, a feminist, and a ‘parasite’ (p. 12)” among other roles. Her life of travel and independence pays tribute to her parents’ influence while demonstrating her own tenacity. “A Bouquet of Flowers” is a pleasant reminiscence by Laura about her earliest school days. 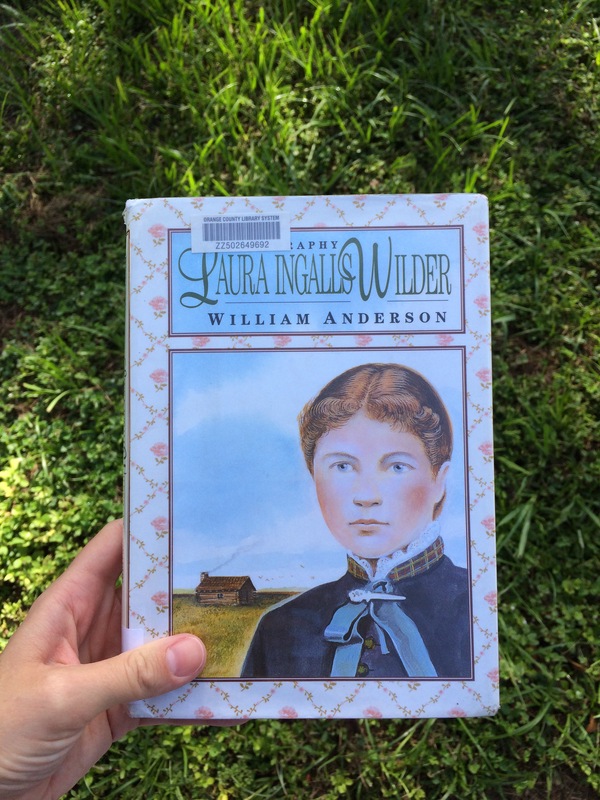 “Let’s Visit Mrs. Wilder” is an interview of sorts for The Missouri Ruralist, the local magazine in which Laura published many of her essays. From memories of Pa Ingalls’s beloved fiddle to “Laura’s Land Congress Speech” to “The Faces in the Window”, a thrilling account by Rose, any Little House fan will enjoy both familiar and new stories in this book. Last night I picked up a copy of Little House on the Prairie to read to my kids. Maybe we’ll even get through more than one book in the series before the year’s end. If you are a Little House fan, I highly recommend picking up any of the books I mentioned. Also, check out William T. Anderson-not to be confused with this guy– for more reading. Have you read any Little House books or related works?